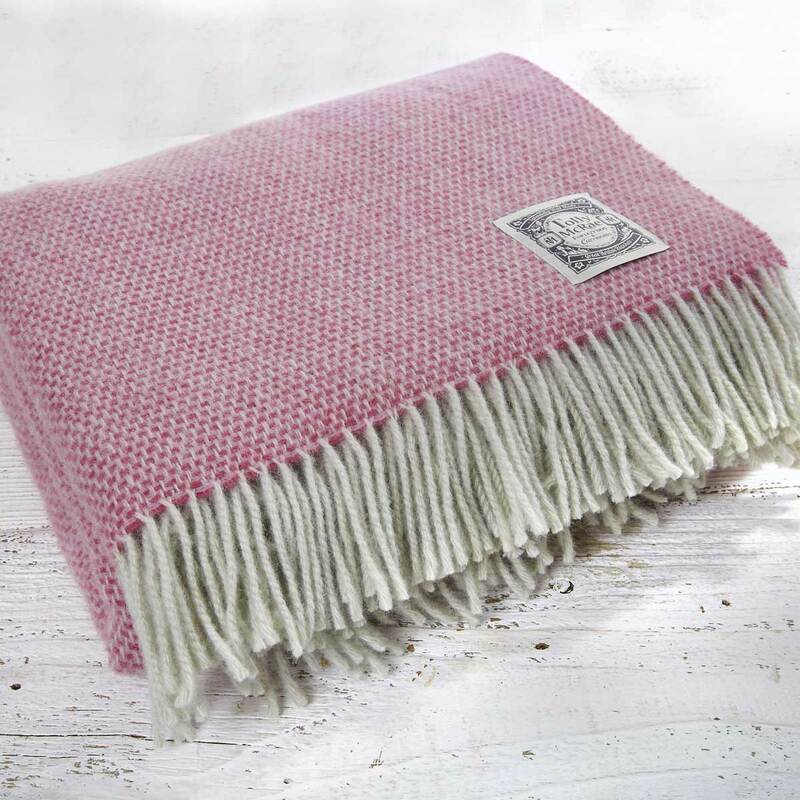 A bright pink luxury wool picnic rug, ideal for everything from outdoor country pursuits to indoor couch cuddle sessions! 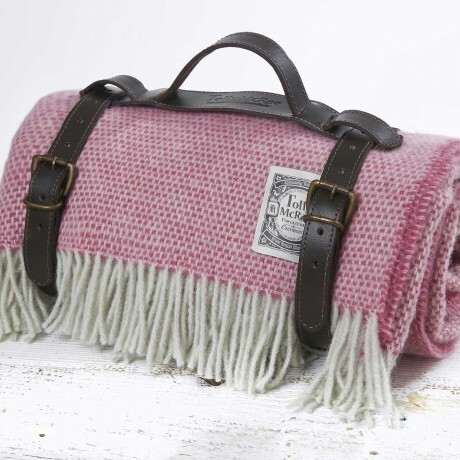 This versatile pink picnic blanket is perfect for outdoor pursuits. Made from pure lambswool, this throw has natural moisture resistance so is an ideal posh picnic rug but it's also soft enough to cover your knees or wrap around your shoulders when chilly outdoors. 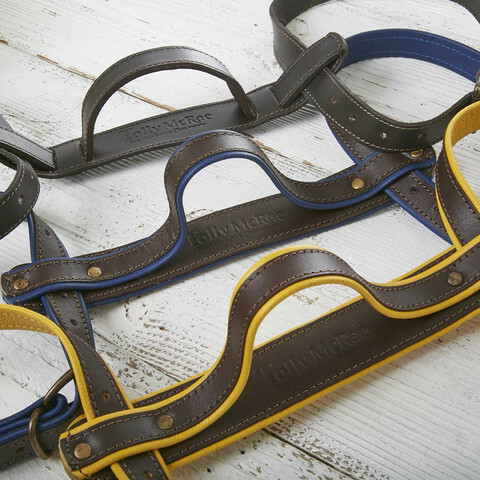 Take this ample blanket out of the leather carrier strap and you have a blanket of such good quality that it sits comfortably in your home, adding delicate colour to the bottom of a bed or draped over your favourite armchair. Its show-stopping bright pink with a geometric basket like weave is sure to get heads turning as you stroll through the park, swinging it by your side. Indoors, it works well in country or town interiors, adding colour, warmth and texture. All rugs are hand wrapped in ribbon and tissue paper. The perfect wedding or anniversary gift for all picnic lovers. Tolly McRae picnic rugs are produced in small batches and are hand finished so size vary slightly. As a minimum, the rugs are 150cm x 190cm but some run slightly longer.